Adopting a Tax efficient Structure as part of your company. Making sure VAT is conserved as much as possible. Helping you reduce your UK Corporation Tax. Making sure you take advantage of foreign imports accordingly. Correct allocation of your company profits. Providing you with help during a VAT Inspection. Teaching you how to deal with HMRC and the VAT Trade Desk Audit Team. Giving you a means of efficient communication with your Customer & Supplier. Correct administration of your company. Tax efficiency being incorporated in to your UK business. Making sure you grow and expand your business. We are expert import and export accountants. We have many years experience in dealing with your type of company and we can make sure that the certificates you require to recover VAT and account for Duty paid on imports are in place. Furthermore if you are an e-commerce business and you export goods outside of the EU then you need to make sure these sales have the VAT accounted for correctly. This ensures you do not overpay HMRC incorrectly for foreign sales. Tax50 will take the burden of compliance off your hands and help you enjoy running your business. Tax50 will also help you manage your affairs in the most efficient manner possible. The advice from Tax50 is tailored to suit your business and lifestyle requirements, helping you understand how to best increase your income while reducing your financial and tax exposure. Tax50 will also help you avoid costly late filing penalties. 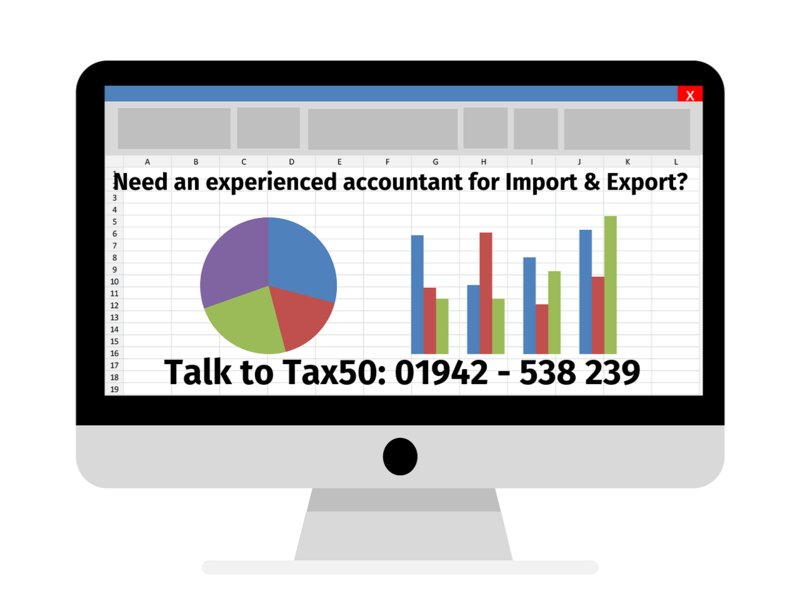 No matter what size of business you have, Tax50 is the right import and export accountant for you. Let Tax50 help you focus on growing your business. We will make sure you get the best advice. Tax50 want to help your business grow and expand while saving you money. Tax50 also has a large network of professionals that can help you with related matters, such as Bridging Loans, bank accounts, Residential and Commercial Mortgages (including Buy to Let) and corporate recovery. If you are looking for the best accountant for your import and export business along with the best advice available to you then Tax50 is the right specialist and experienced accountant for you.